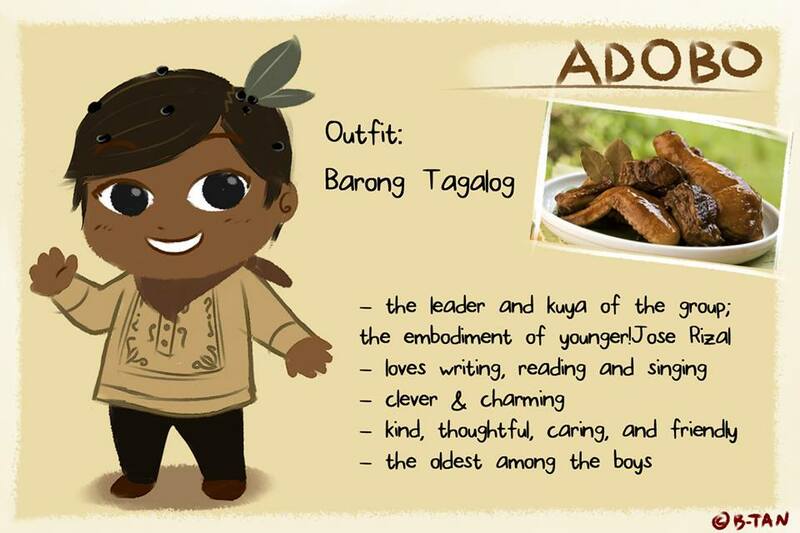 Ever wonder what Adobo or sinigang would look like if they were human beings and not gastronomic delights? Ever wondered what they would look like if they were kids? 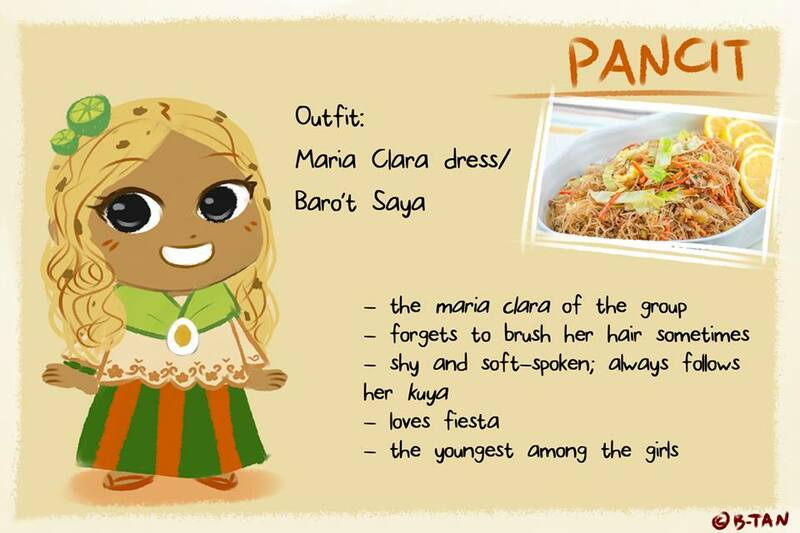 Well, artist Basil Nacionales or B-Tan shared her vision for this situation and the turnout will make you go “awwww” AND make you hungry as well. 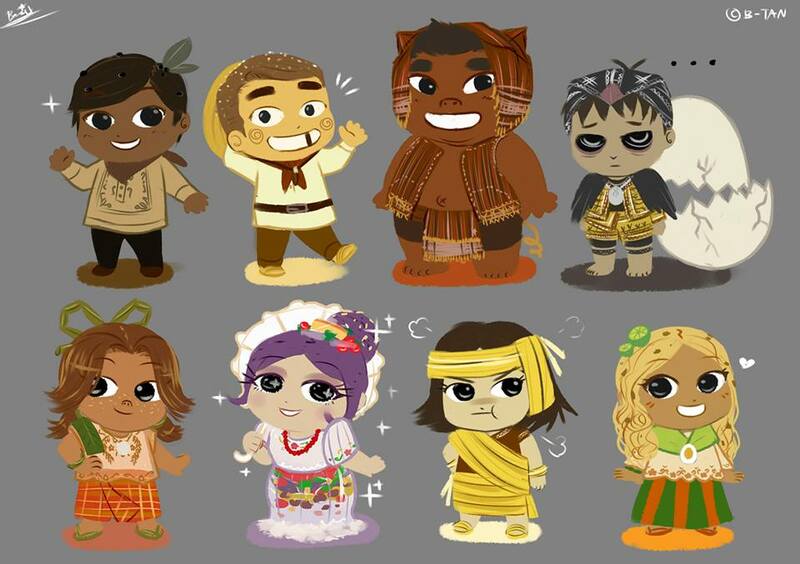 We have to give the artist and cosplayer a round of applause for doing this art set. I swear Halo-Halo and Lechon have never looked cuter! 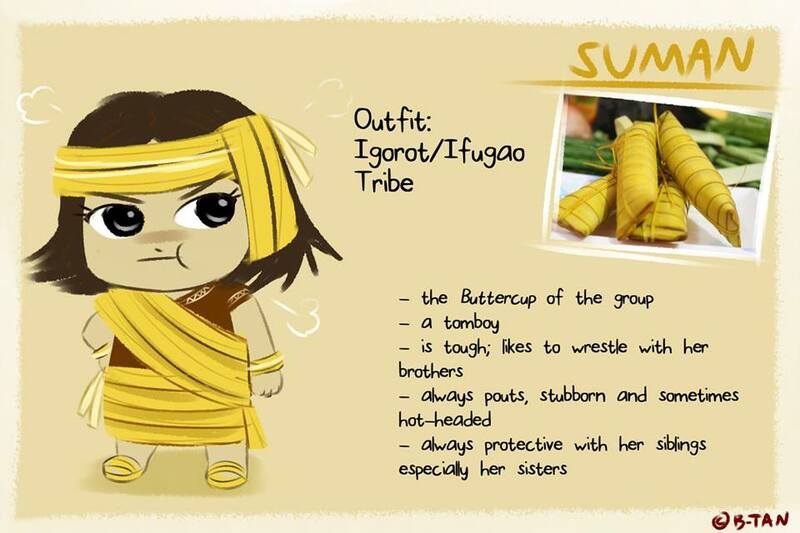 Checkout the artworks below and be amazed. 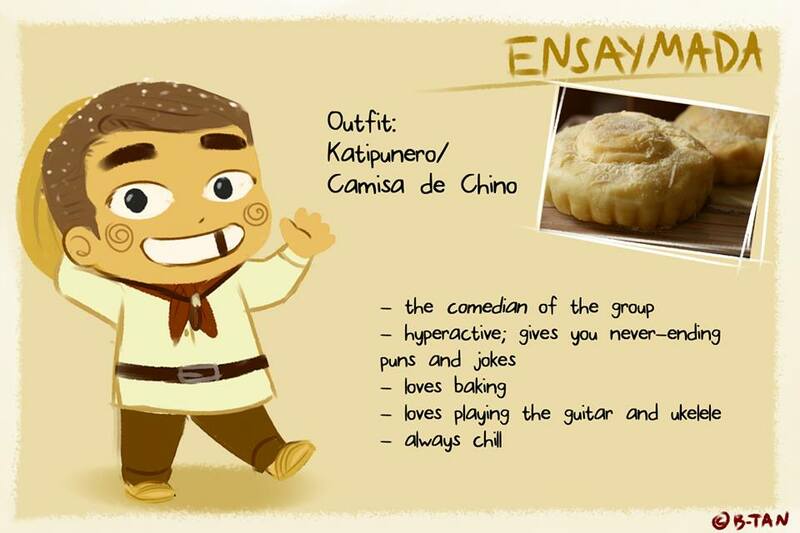 Great job with the paminta on his head and the whole “Jose Rizal” vibe coming off of him. 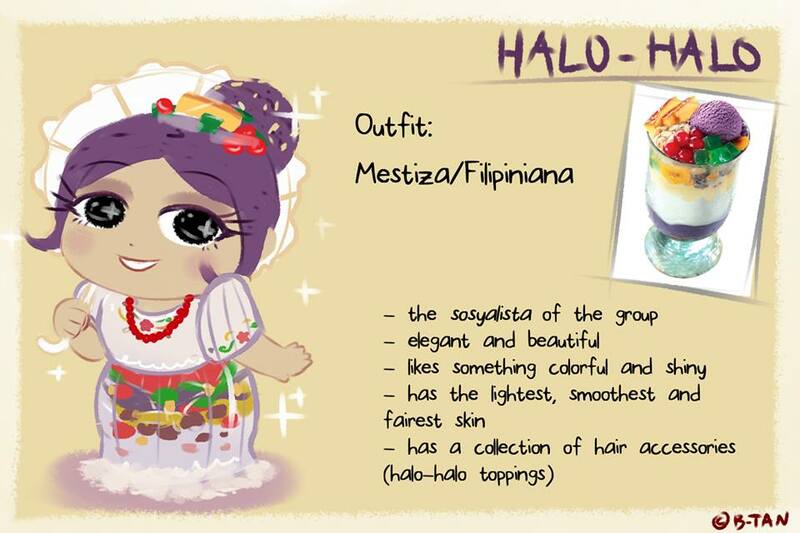 As I mentioned earlier, Halo-Halo reminds me of Nozomi from Love Live! 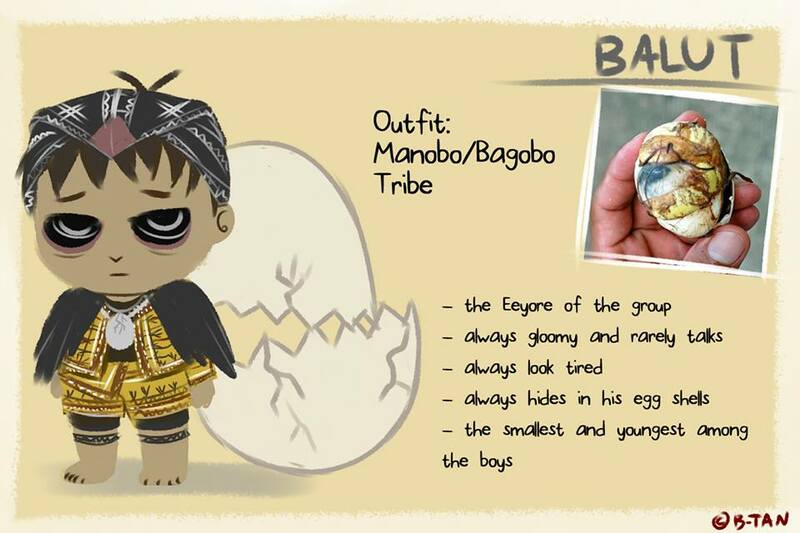 Love how the artist describes Balut as the group’s eeyore. Did you know that too much Balut can actually knock you out for a few hours? 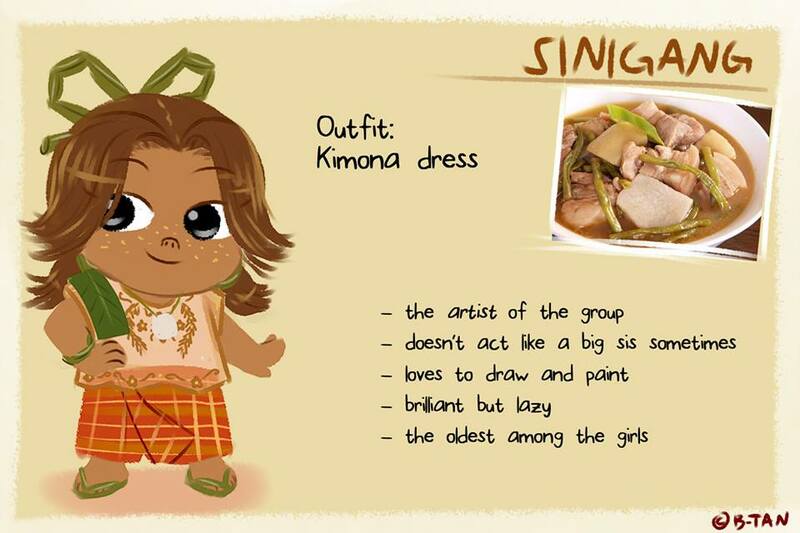 Sinigang as the group’s “ate” or older sister works extremely well because there’s a small percentage of Pinoy foodies who will say that Sinigang should be the national dish and not Adobo. Still everyday, Sinigang is a staple for lunch time anywhere in the country and that’s something not any food can take away. 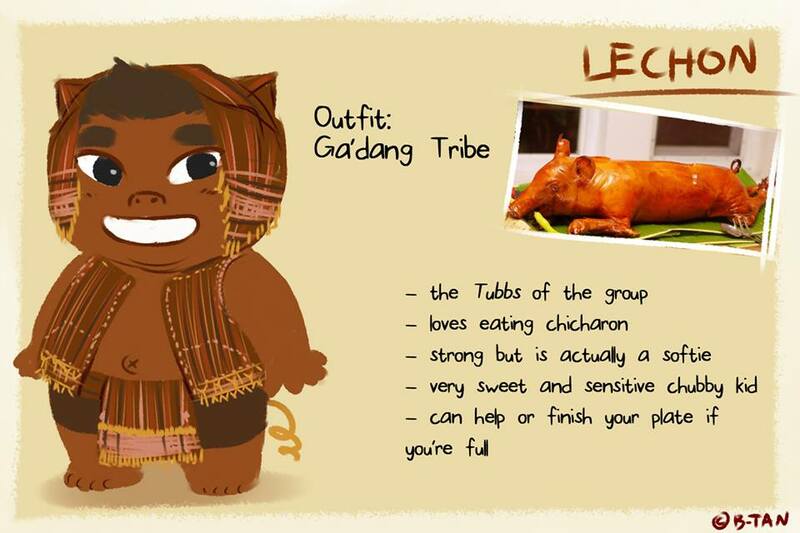 Lastly, we have Lechon who looks so plump and adorable! Again credits to B-Tan for such a wonderful work. Love her stuff and you really should follow her on Facebook.